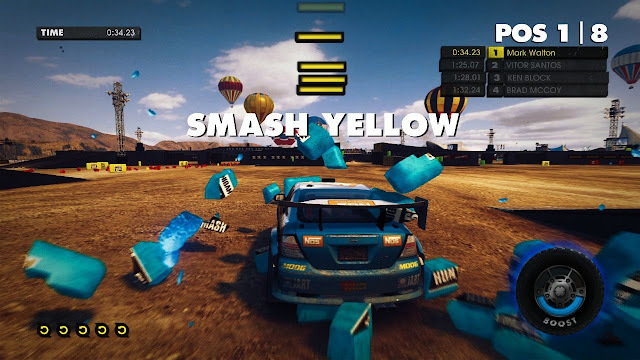 See what we did there, you know because we are reviewing DiRT Showdown…oh nevermind. Anyways, Codemasters sent me a copy to review and being a fan of 2 and 3, I was fairly excited about the new game. DiRT Showdown is just that, an arcade racing game pitting you against others in a number of less than traditional events. This time, more focused on destruction, available events include racing, crashing, and hooning across the world. Not only does it support the expected multiplayer, it has what more and more games lately don’t have, splitscreen multiplayer. This game is fun, plain and simple. You go fast and you crash, I mean that sums up everything I thought that was fun as a kid. 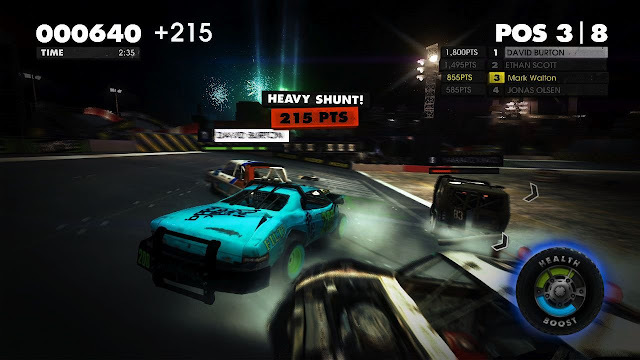 You still have some races, but it is mostly don’t let your car get destroyed, destroy anyone and everyone, crazy 8’s, and drifting. That is nice and useful for unlocking cars but the quick events are just a primer for the good stuff…online multiplayer. This is what online gameplay is about, short destruction filled events. You don’t have to be the greatest, you just have to hit them. The visuals are great and add to the excitement with fireworks, laser lights, and pyrotechnics to add a lot of flash, think along the lines of how Tricky was to SSX. 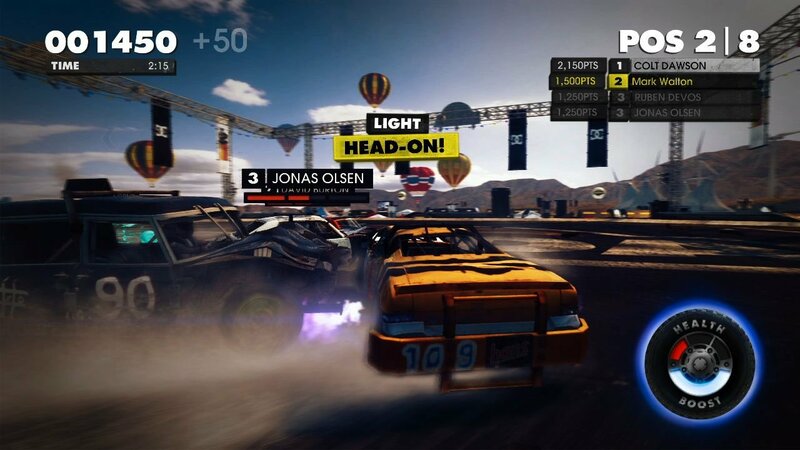 This is not what you would expect if you have played any of the previous DiRT titles and did not see any advertising before playing Showdown. As being such a big fan of both 2 and 3, I was disappointed with the lack of emphasis on racing. That is not to say I didn’t have a blast once the events started, I found myself playing through one rank in one sitting. I had fun with Showdown, but and this is a pretty big one here, the online could be great IF more people were online, one out of every three times I would try to find a match at all different times of the day, I was able to connect. I loved the game when I playing through the single player. That can only last so long though, the multiplayer was fun…when I could find a match. 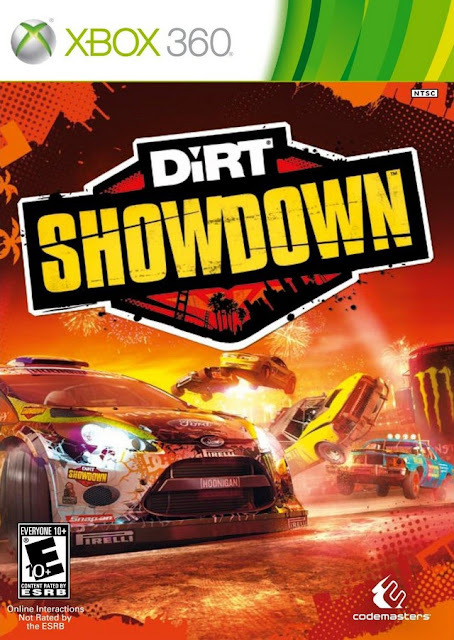 Had there been more of a community playing Showdown, the multiplayer could have been great. It did feel like it could have been an expansion to DiRT, and should Codemasters have gone that route or a lower price tag like MX vs. ATV had done, there would be more people online and less waiting for the price drop. Stick of Truth trailer is South Park and YOU!